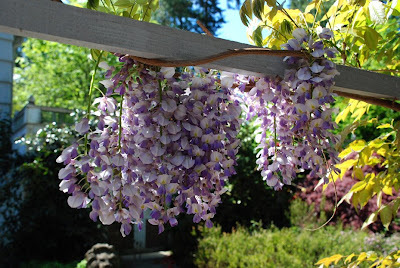 Gazing upon our wisteria’s fragrant cascades shimmering in the breeze is one of spring’s lovely pleasures. Oh! How perfectly gorgeous!!! This photo just fills my eyes. Thank you, my dear, for sharing this lovely picture.